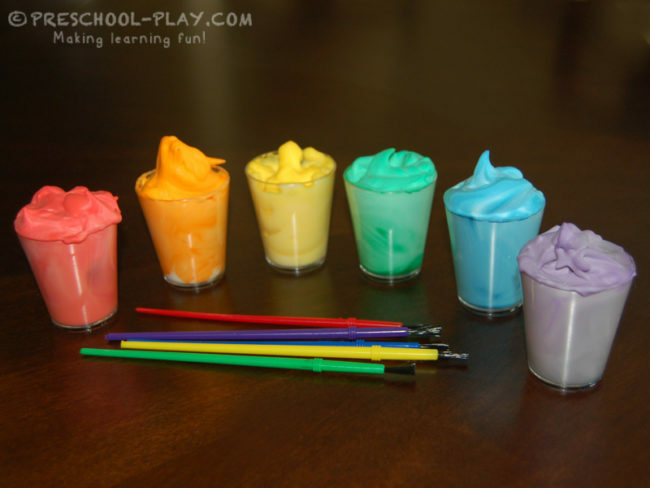 Colored shaving cream is inexpensive, and can be used in a variety of ways. It also provides a nice change from using traditional paint. 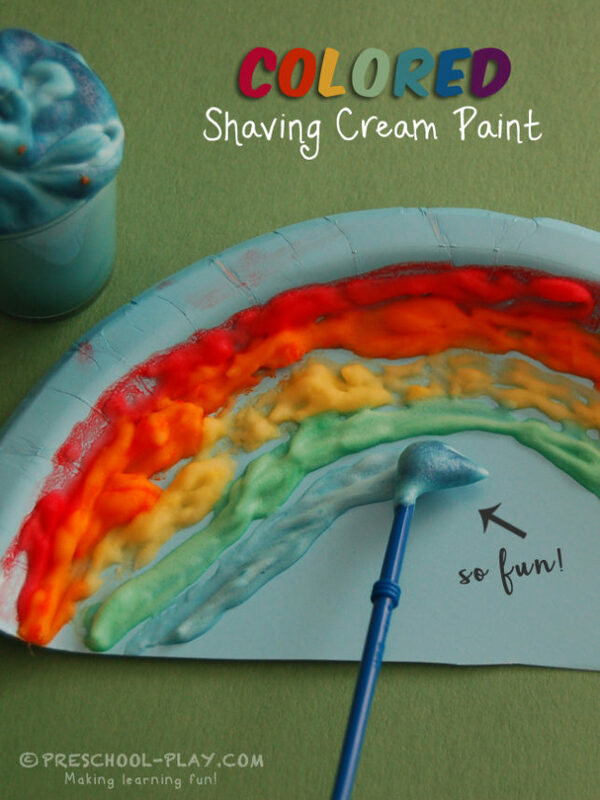 It can be easily made by adding a few drops of washable water color to shaving cream. Stir slowly until blended. 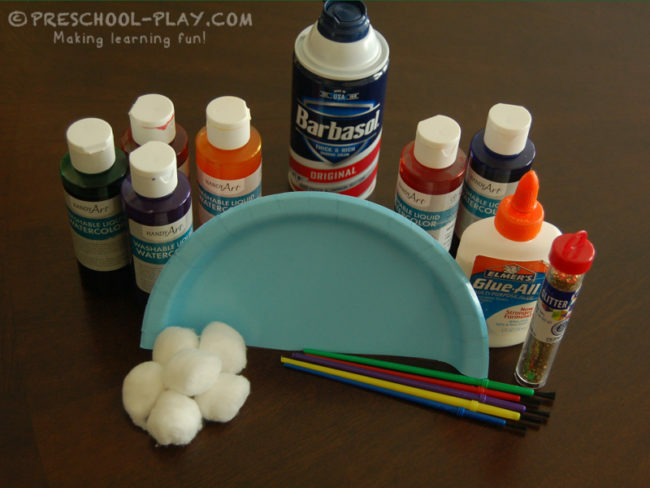 A couple of weeks ago, my class used it to paint rainbows on paper plates. 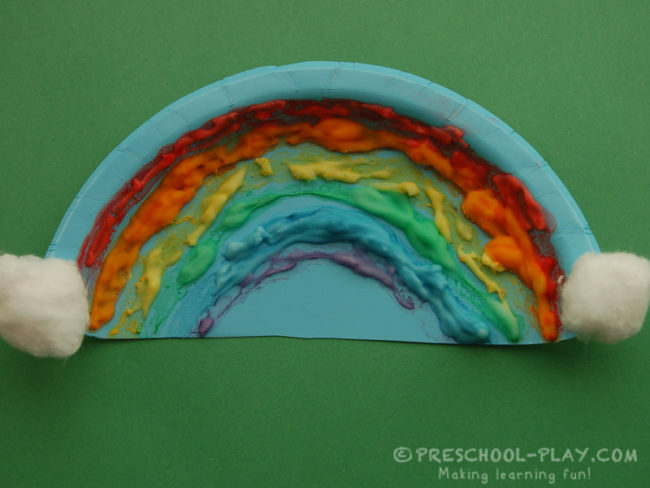 We added a couple of pieces of cotton to simulate clouds, and the children had beautiful rainbows to take home. This was such a big hit. More colored shaving cream activities to come! This is so cute! I cant wait to give this a try!